1998년 친환경농업육성법이 제정된 이후 20년이 지났다. 지난 20년간 친환경 내지는 유기농에 관한 법제도는 그 범위 및 기준에서 강화하는 방향으로 개정되어 왔다. 유기농산물 중심에서 유기농자재, 유기식품까지 확대되었다. 지난 10여 년 동안은 유기종자에 대한 기준마련에 대한 논의가 계속되고 있다. 유기종자란 유기적으로 재배된 농작물에서 채종된 종자로 농약, 화학비료 등 인위적으로 합성된 제품이 아닌 유기자재만을 사용하여 생산하고 채종된 종자를 말한다. 그러나 이런 정의에도 불구하고 구체적인 기준을 마련하고 있는 입법례는 없다. 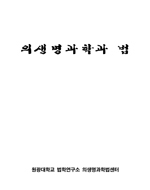 또한 식량농업기구를 비롯한 국제기구 또는 민간기관에서도 그 법적 기준을 마련하지 못하고 있다. 그러나 1992년의 리우선언과 의제21의 채택, 1995년의 무역관련지식재산권협정에 따른 생물체에 대한 지식재산권의 허용 등으로 인하여 종자에 대한 관심이 높아졌다. 그 결과 종자시장은 나날이 그 규모가 커지고 있고 각국은 종자생산의 요소인 유전자원에 대한 보호 등의 정책이 강화되기 시작했다. 이런 추세는 유기종자에까지 영향을 미쳐 유기종자의 기준에 대한 관심도 높아졌다. 최근 우리나라도 유기농업에서 유기종자의 사용을 의무화하기 위한 정책을 마련하고 있다. 그러나 20년 동안 규제하지 않았던 종자에 대한 규제가 갑자기 이루어지는 것은 전체 유기농업 생산에까지 영향을 미칠 수 있다. 현재 우리나라의 유기인증기준에서의 한계, 종자관련 법제도의 복잡성 등으로 인해 문제가 발생할 수 있기 때문이다. 종자는 갑자기 만들어지는 것이 아니라 세대를 거치면서 고정되는 것이다. 따라서 유기종자의 기준을 마련하더라도 이 기준이 정착하기까지는 상당한 시간이 걸릴 것으로 예상된다. 유기농업을 위한 유기종자의 사용은 중요한 일이기는 하나 현재의 상황에서는 농업 전체의 현황을 고려하여 농민들과의 충분한 소통을 통한 준비기간을 가지는 것이 바람직 할 것이다. Twenty years have passed since the enactment of the Environmentally Friendly Farming Act in 1998. Over the past two decades, the legislation on environmentally friendly or organic farming has been revised to strengthen its scope and standards. It expanded from organic farm products to organic materials and organic foods. Over the past decades, there has been an ongoing debate about setting standards for organic seeds. Organic seeds are seeds grown in organically cultivated crops. They are seeds produced and harvested using only organic materials, not artificially synthesized products such as pesticides and chemical fertilizers. Despite these definitions, however, there is no legislation that sets specific standards. In addition, the legal standards have failed to establish in the international organizations including the Food and Agriculture Organization or in the private institutions. However, the interest in seeds has increased due to the adoption of the Rio Declaration and Agenda 21 in 1992 and the licensing of intellectual property rights to organisms under the trade-related intellectual property agreement of 1995. As a result, the seed market has grown in size everyday, and each country has begun to strengthen policies such as protection of genetic resources, which are elements of seed production. This trend has also affected organic seeds and raised the interest of the criteria of organic seeds. Recently, Korea has also set up a policy to mandate the use of organic seeds in organic agriculture. But sudden regulation of seeds that have not been regulated for 20 years can have an impact on entire organic farming production. Problems may arise due to the current limitations in Korea’s organic certification standards and complexity of the seed related legislation. Seeds are not made suddenly, but are fixed through the generations. Therefore, it is expected that it will take considerable time for the standard to be settled even if the standard of organic seed is established. Although the use of organic seeds for organic farming is an important task, it is desirable to have a preparation period through sufficient communication with farmers considering the current status of agriculture in the current situation.